肖沈阳, 金志刚, 苏毅珊, 等. 压缩感知OFDM稀疏信道估计导频设计[J]. 北京航空航天大学学报, 2018, 44(7): 1447-1453. XIAO S Y, JIN Z G, SU Y S, et al. 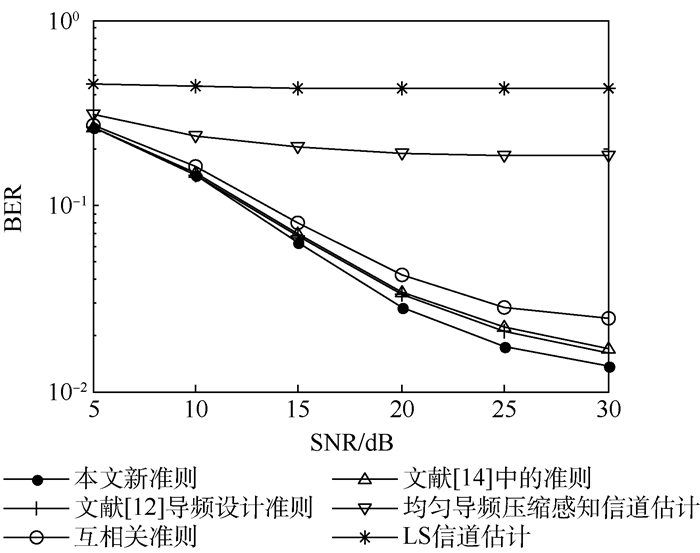 Pilot design for compressed sensing based OFDM sparse channel estimation[J]. Journal of Beijing University of Aeronautics and Astronsutics, 2018, 44(7): 1447-1453. 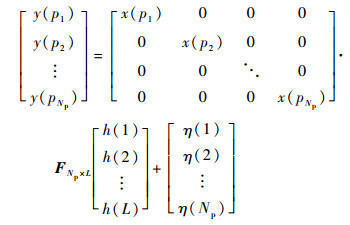 Abstract: In order to improve channel estimation performance, the pilot design problem in orthogonal frequency division multiplexing(OFDM) is investigated from the perspective of compressed sensing(CS).Since the reconstruction performance of the sampling matrix cannot be accurately measured by the existing methods, the pilot designed by the existing methods has poor channel estimation performance.Therefore, the cubic sum criterion which computes the cubic summation of entries of correlation matrix is proposed to measure the reconstruction performance of sampling matrix.Besides, for the pilot design of OFDM channel estimation which is a discrete combinatorial optimization problem, a novel pilot search method named grouped substitution with concurrent full trees is also proposed to search optimal pilot.At each iteration of the proposed algorithm, the pilot pattern set is divided into groups.Then, the pilot patterns are successively updated by obtained pilot sets.The proposed method enlarges the search space and avoids getting in local optimum in searching pilot pattern.The simulation results show that, the proposed evaluation method can accurately evaluate the reconstruction performance of the sampling matrix in comparison to the existing evaluation methods and compared with mutual coherence criterion, the proposed criterion can gain 3 dB improvement in mean square error.Furthermore, the proposed pilot search method has faster convergence speed and the best searching performance. 郭文彬, 李春波, 雷迪, 等. 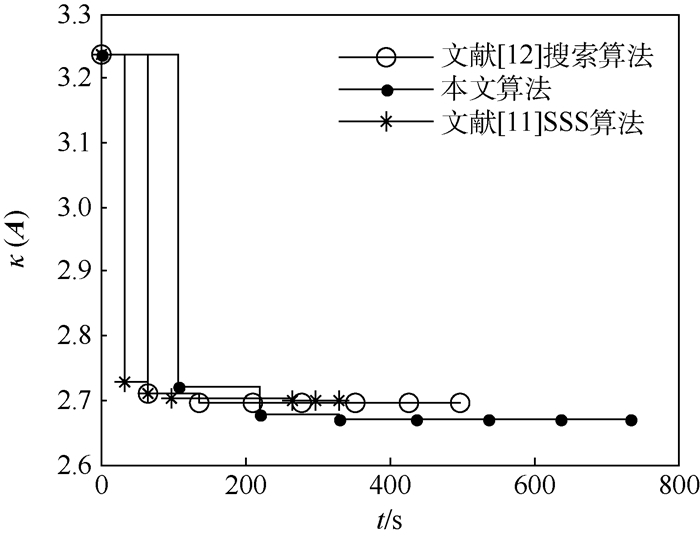 基于联合稀疏模型的OFDM压缩感知信道估计[J]. 北京邮电大学学报, 2014, 37	(3): 1–6. MOHAMMADIAN R, AMINI A, KHALAJ B H. Deterministic pilot design for sparse channel estimation in MISO/multi-user OFDM systems[J]. IEEE Transactions on Wireless Communications, 2017, 16	(1): 129–140. 何雪云, 宋荣方, 周克琴. 基于压缩感知的OFDM稀疏信道估计导频图案设计[J]. 南京邮电大学学报(自然科学版), 2011, 31	(5): 7–11. 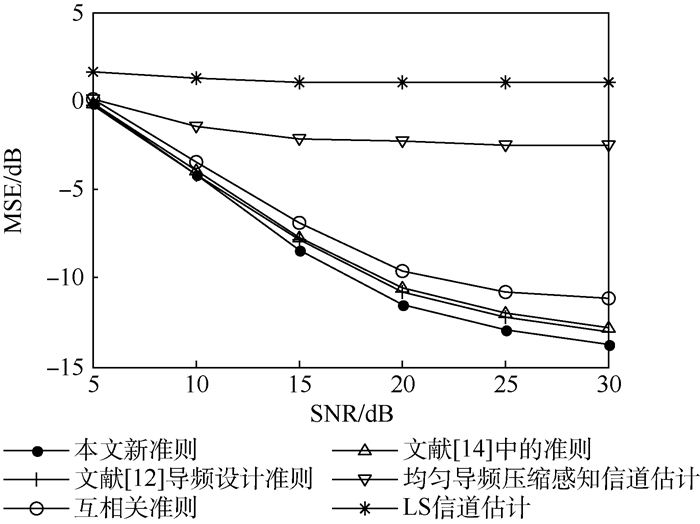 HE X Y, SONG R F, ZHU W P. Pilot allocation for sparse channel estimation in MIMO-OFDM systems[J]. IEEE Transactions on Circuits & Systems Ⅱ Express Briefs, 2013, 60	(9): 612–616. 胡健生, 宋祖勋, 张倩, 等. OFDM压缩感知信道估计中导频图案设计[J]. 北京理工大学学报, 2016, 36	(11): 1183–1187. 刘浩强, 赵洪博, 冯文全. 基于CS的正则化稀疏度变步长自适应匹配追踪算法[J]. 北京航空航天大学学报, 2017, 43	(10): 2109–2117.